The Justice Department’s new opioid fraud squad has gotten its first indictment — a Pittsburgh-area physician who allegedly prescribed heavy-duty painkillers to patients and insisted on being paid in cash. The physician, Andrzej Kazimierz Zielke, was indicted this week by a federal grand jury in Pittsburgh on 14 counts of conspiracy and unlawfully distributing controlled substances, charges that could send him to prison for up to 20 years. Zielke, 62, allegedly wrote prescriptions for oxycodone, hydrocodone, morphine sulfate and methadone “not for medical purposes” at least 13 times and charged about $250 cash to patients who traveled for miles to his “holistic pain management practice” in Gibsonia, Pennsylvania, according to the Department of Justice. One patient, identified in the criminal complaint as “B.R.” and who began seeing Zielke after another doctor refused to renew her painkiller prescription, “subsequently died of a drug overdose,” according to the complaint. The Opioid and Abuse Detection Unit, which led Zielke’s arrest, was unveiled by Attorney General Jeff Sessions in August. It has dispatched teams of prosecutors to opioid-ravaged states like Pennsylvania and uses data to zero-in on doctors who prescribe large amounts of painkillers. The investigation into the doctor began in January 2015 when Eric Holder was attorney general under President Barack Obama. Acting on a tip from an informant who said “B.R.” was one of several people a local drug dealer had sent to Zielke’s office to get painkiller prescriptions, investigators began questioning former patients who said the doctor was operating a “pill mill” out of his Medical Frontiers practice, the complaint states. “Zielke’s waiting room was typically crowded with patients, some of whom appeared to be drug seekers,” the complaint states. And about 90 percent of the time, Zielke did not conduct any exams and dispatched patients to a pharmacy in the town of Oakmont where he had a “working relationship with a ‘guy,'” according to the complaint, which does not identified the person. The accused doctor also allegedly wrote four morphine and hydrocodone prescriptions for his father Jozef Zielke, who is not a patient and lives in Canada, the complaint states. 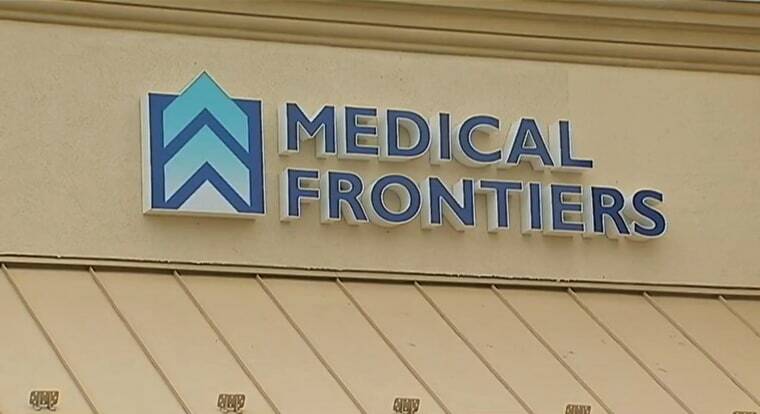 Zielke, whose license to practice medicine in Pennsylvania has been suspended, did not return phone calls to Medical Frontiers or his answering service.